Recent Indian rule on compensation for any injury or death of the subject in a clinical trial, has generated a lot of discussion on its impact on clinical trials in India. The legal process in the compensation rule is based on the causality assessment. However, it ignores the scientific basis of causality assessment. This could have far reaching consequences on (1) science of causality assessment and (2) safety assessment of a new drug under clinical development. There is a need to bring clarity on causality assessment process within the compensation rules to balance the ethical need of human subject protection and the scientific requirements of safety assessment. Objective: The objective of this study was to conduct feasibility study of phase III breast and lung cancer clinical trials in India. Materials and Methods: Study synopsis and feasibility questionnaire were mailed to 300 oncologists for each indication. Criteria of selection were enrolment of ≥2 patients per month, frequency of Ethics Committee (EC) meeting ≤4 weeks, dropout rate <20%, adequacy of infrastructure and training of site in good clinical practice (GCP). Descriptive analyses of the data were performed. Results: For both indications, 50/300 (16.7%) sites responded. The median number of patients seen by a site per month for breast and lung cancer was 20 (range 0-300) and 10 (range 0-75), respectively. Median number of eligible patients was 4 (range 0-20) and 3 (range 0-15) per month, for breast and lung cancer respectively. The frequency of EC meeting was ≤4 weeks at 36-56% of sites. All sites were trained in GCP and had adequate infrastructure to conduct the clinical trial. For breast cancer 22 (44%) sites (public 14 [28%]; private 8 [16%)]), and for lung cancer 18 (36%) sites (public 15 [30%], private: 3 [6%]) met the criteria of selection. Conclusion: Preliminary feasibility study would require for confirmation of the important feasibility criteria by in depth discussion during the personal visit to the potential sites. Aim: An effective clinical trial strategy to ensure patient safety as well as trial quality and efficiency involves an integrated approach, including prospective identification of risk factors, mitigation of the risks through proper study design and execution, and assessment of quality metrics in real-time. Such an integrated quality management plan may also be enhanced by using data-driven techniques to identify risk factors that are most relevant in predicting quality issues associated with a trial. 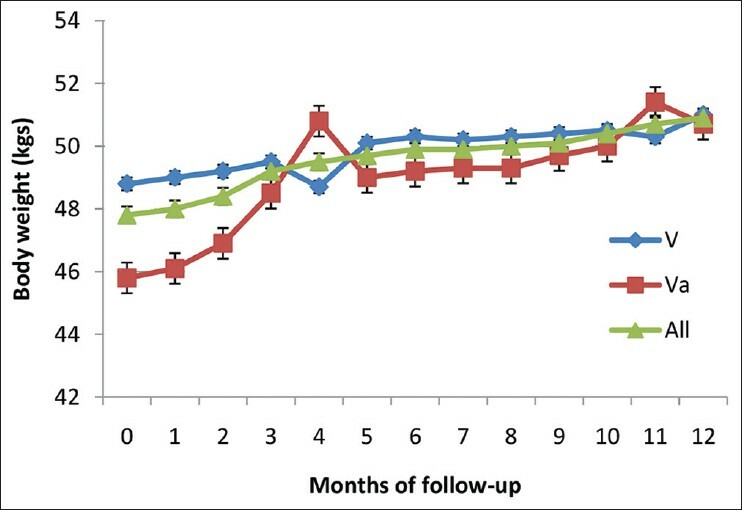 In this paper, we illustrate such an approach using data collected from actual clinical trials. Materials and Methods: Several statistical methods were employed, including the Wilcoxon rank-sum test and logistic regression, to identify the presence of association between risk factors and the occurrence of quality issues, applied to data on quality of clinical trials sponsored by Pfizer. Results: Only a subset of the risk factors had a significant association with quality issues, and included: Whether study used Placebo, whether an agent was a biologic, unusual packaging label, complex dosing, and over 25 planned procedures. Conclusion: Proper implementation of the strategy can help to optimize resource utilization without compromising trial integrity and patient safety. On November 3 rd and 4 th , 2012, Manipal Hospital, Bangalore and Association for the Accreditation of Human Research Protection Programs co-hosted a regional conference titled "Practical Solutions to Challenges in Research Ethics." This paper is a synthesis of the major themes of the conference. 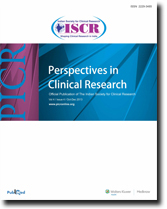 The authors discuss the current state of the clinical research in India today, need to focus on human research protection programs rather than Ethics Committees or institutional review boards, the factors that influence high-quality research and some practical solutions to improving the quality of research and the protection of research participants. Healthcare industry is flooded with multitude of drugs, and the list is increasing day by day. Consumption of medications has enormously increased due to life style changes, having safer drugs is the need of the hour. Regulators and other authorities to have a check have put in stringent regulations and pharmacovigilance system in place. Eventhough there has been increase in adverse drug reactions (ADR) reporting in the last decade, causality assessment has been the greater challenge for academicians and even industry. Causality is crucial for risk benefit assessment, particularly when it involves post marketing safety signals. Pharmaceutical companies have put in efforts to have a standardized approach for causality assessment. This article will provide some insight into the approaches for causality assessment from a pharma industry perspective.